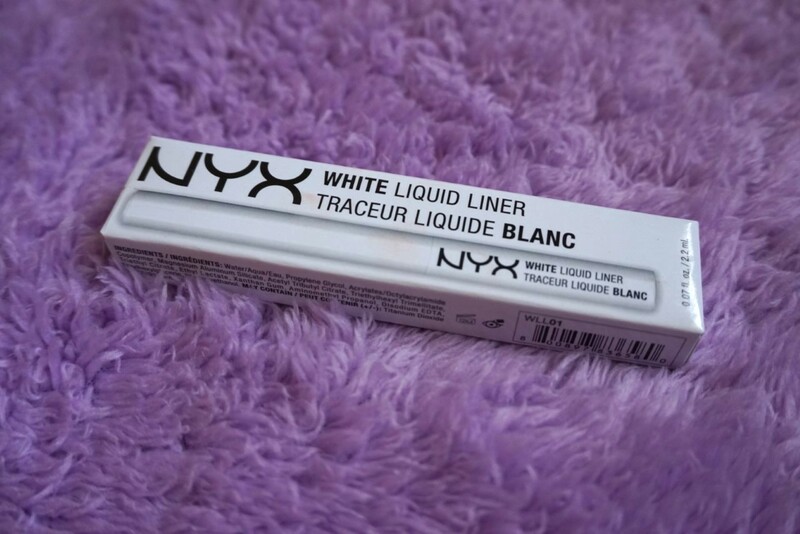 Lately, I’ve been obsessing over the NYX white eyeliner… and I just wanted to show you all that there are so many different ways to use this one product! While it’s always a little tricky to apply NYX liners without experiencing ‘cracking’, I do find that when I apply fast and precisely the first time, this happens less – so it all does come down to practising! The bonus is, it only costs £5.50… what a bargain! Here’s a little daisy eyeliner look I created using a combination of this white liner and the NYX Vivid Brights Lemon Liner, which was inspired by an incredible makeup artist called Aaisha. You can check out her work here – @makeupvanityxo. As a stark contrast, for this alien-esque makeup look, I used the white eyeliner to transform my brows and lashes. If you don’t have white mascara at hand, all you have to do is gently hold and swipe the liner brush along the hair so it clings, rather than pressing heavily and creating too harsh a look. Would a tutorial help? I actually filmed one which I’ve been planning to upload for ages, so let me know! … and who doesn’t love that? I’d love to hear what you think of these makeup looks in the comment space below! Plus, if there any products you would like me to try or makeup looks you would like to see, please let me know, as I’m always looking for new inspiration! Stay tuned for more makeup and skincare reviews. I have hundreds of new products left to test and review… plus a big announcement on the way! Sooooo cool! You have some serious skills! 1) These are the most amazing eyeliner looks I’ve ever seen in my life! 2) I’m so glad I came across this because I’ve been wanting to try out some white liner, but have been unsure about if it would look all streaky on my lids or not! Oh my gosh, these eye looks are incredible! They are gorgeous + so creative! Your make up skills are amazing!